Imtiaz Ali : Love Aaj Kal was earlier titled Elastic! Imtiaz Ali : Love Aaj Kal was earlier titled Elastic! Home > tamasha > Imtiaz Ali : Love Aaj Kal was earlier titled Elastic! Imtiaz Ali is well known for his romantic drama films & mostly with Ranbir and Deepika just like 'Love Aaj Kal' and many more. Last night Imtiaz told the reporter that, "Title of my romantic drama film “Love Aaj Kal” was earlier 'Elastic', so it would be like Saif Ali Khan and Deepika Padukone in 'Elastic'". 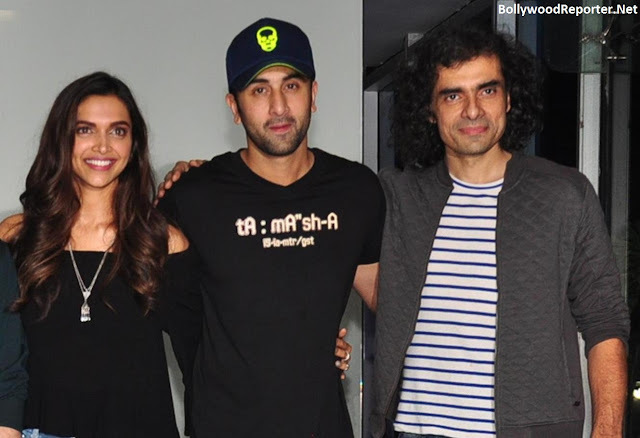 After that talking about Tamasha Imtiaz said, "Window Seat’ was the working title for ‘Tamasha’. For ‘Jab We Met’, the working title was ‘Train’ and for ‘Love Aaj Kal’, it was Elastic". Upcoming movie of Imtiaz Ali starring Deepika and Ranbir will be blockbuster of Bollywood till today. Tamasha is scheduled to be released on 27th November.